With our weather and water levels fluctuating, it’s been making it difficult for our boat or shore anglers to get out to the water. I am taking this slow time to show one of my favorite lures. I must first say that there are some really good ones to pick from. Once you have picked your favorite, make sure you have a good line — and your knot is very important. A good practice is to retie after that hard strike or hook up. Next, you will have to learn the best retrieve for your lure or spinner. Whether you are fishing the lake, which is still water, or our river, which moves along at about 5 to 7 mph, you should float at about 2 mph — and these are just approximates. Once you get the hang of our river and the current, you will catch fish. Now back to one of my favorites: The pencil popper. This is a top-water lure and/or a hard bait. It takes a little work to make it produce. There are other lures that work really well, but this one to me is as fun as the top-water action it invites. This means it’s at the surface where you can see some of the action going on. One of the first things that happens is most anglers will pull the line to set the hook when they feel the hit. But with this top-water plug, the fish is trying to kill the thing, so you have to give slack or go forward. Hope this gives an insight to the various lures out there. 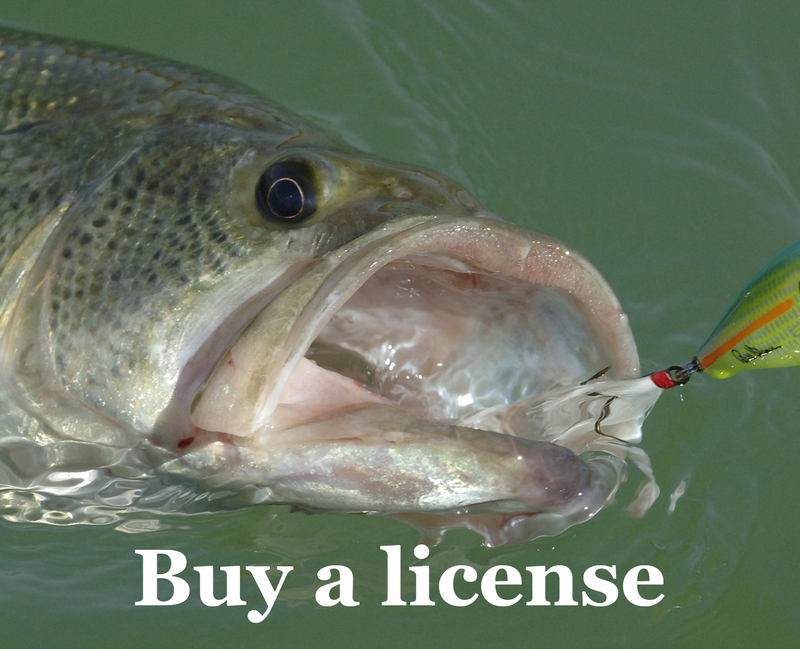 Whether it’s a $10 or $300 lure, they all have different requirements to produce hook-ups. It’s mostly all about the retrieve. Spinners, hard baits or soft baits will mostly work when fishing for trout or stripers in this area. But some colors work better here than others. Hope to see you in soon. Thanks for your support and we will try and get some news on both our trout stocking and the striper bite — all should be happening soon.